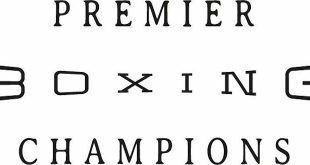 Haddenham’s Tyler Goodjohn is set to turn his back on his amateur career and make his professional debut on the undercard of the exciting “Night of International Boxing” promoted by Hennessy Sports at York Hall, Bethnal Green on Friday 10th September. 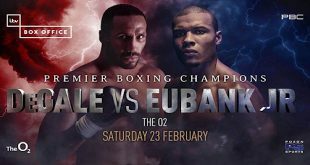 The co – feature fights involving two of the UK and Ireland’s very best boxers, John O’Donnell who is taking on Olympic Bronze Medalist American Terrence Cauthen over 12 rounds and Tyson Fury who will be fighting over 10 rounds will be televised in America on Showtime at 11p.m. ET/PT (same day delay). The event will also be shown in Canada on the Super Channel Network and the UK Broadcaster will be announced soon. 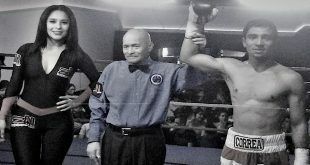 The 19 year old former Junior ABA champion made the decision a while ago to turn pro after a debatable decision in the quarter finals of the ABA’s went against him. So earlier this year he joined European Champion Darren Barker, Southern Area Champion Lee Purdy and hot prospect Bradley Evans by joining up with highly respected trainer, Hainault’s Tony Sims. 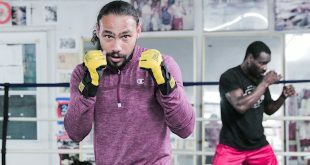 “I will be bringing a good crowd with me to York Hall and hopefully I will reward them by put on an exciting show and recording my first win.” Added Goodjohn. The exciting “Night of International Boxing” will also see Colchester’s Lee “Lights Out” Purdy who will be back in action looking to defend his Southern Area Welterweight title (*subject to board approval), Royston’s former ABA Champion Bradley Evans is stepping up to 6 x 3 minutes rounds for the first time in his pro career. Phill “Intense” Fury will be looking to record his 6th straight victory and the highly popular Light Welterweight Chris “the flash” Evangelou from Enfield will be looking to entertain the York Hall crowd and extend his unbeaten record. John “Gorilla” Ryder (Middleweight) of Islington will also be making his professional debut on the night. Tickets for this great night of international boxing are on sale now and can be purchased from the Ticketline Box Office on 0844 888 4402 or via www.hennessysports.com. Tickets are £35 for unreserved seats and £60 for Ringside.